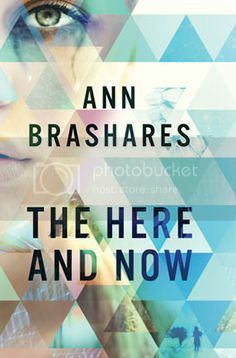 I was really looking forward to reading The Here and Now, as I have just recently been introduced to the awesome writing of Ann Brashares’ with her Sisterhood of the Traveling Pants series by the wonderful ladies in my book club. I actually didn’t know that this was a dystopian novel when I first started it, so that was a pleasant surprise as well. It turned out to be a pretty interesting read. The two main characters in the novel were both very interesting characters. With Prenna being from the future and having to hide all of her secrets and her true identity, and Ethan being way too smart for his own good and knowing everything that was going on, I thought they made a really interesting pair together. Both were very determined to find out a way to keep the future from becoming the ruined world she left behind. I really liked their relationship as well, Ethan was a sweetheart. I really enjoyed the storyline for the book; it felt very realistic to me. There were some things that happened in the book that I could totally see happening in our future world, which is very scary to even think about. I find these types of dystopian novels completely fascinating. This made the book a very quick read for me; I read this in just a little over a day. The only thing that bothered me about the book was the amount of information that was packed into the pages. I really felt that with so much info, it could have been spread out into a second book, or this even could have been made into a series. (I’m assuming that this book is a stand-alone novel, but someone please correct me if I am wrong on this.) There were also a few things that I felt were left unanswered in the novel as well. Overall; I found this to be a quick, enjoyable read. There are still SO many books by this author that I still need to read, so I can’t really compare it to her previous work, but I did enjoy the book. i have a galley of this book, and after reading your review, i'm extra excited to read it! It sounds like a nice read! I love Ann Brashares books and can't wait to read this one.